These gold plated Claddagh earrings are studs that are enhanced with green crystals in the hearts. These 18K gold plated Claddagh earrings feature green crystals in the hearts. 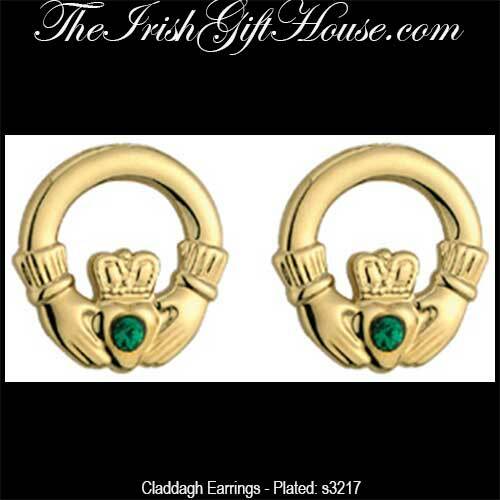 The Claddagh stud earrings are on posts with push on butterfly backs that measure 1/2” wide x 1/2" tall.